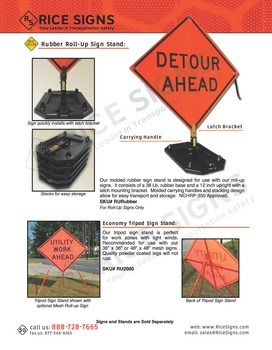 Tripod sign stand for use with roll-up or aluminum signs. 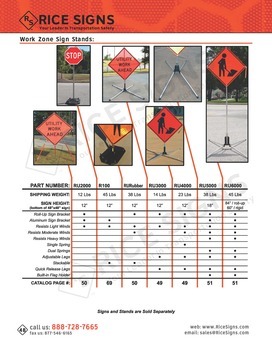 Works with 36x36 and 48x48 signs. Quality powder coated legs will not rust. 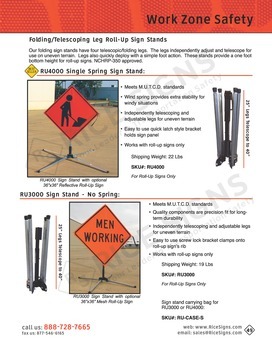 See Economy Tripod Sign Stand for Roll-Up and Aluminum Signs in our catalog on page 50. 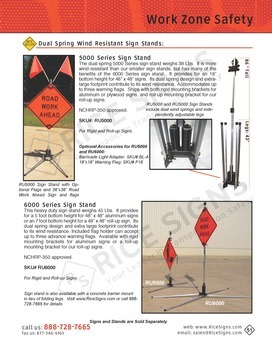 Our RU2000 folding tripod sign stand.